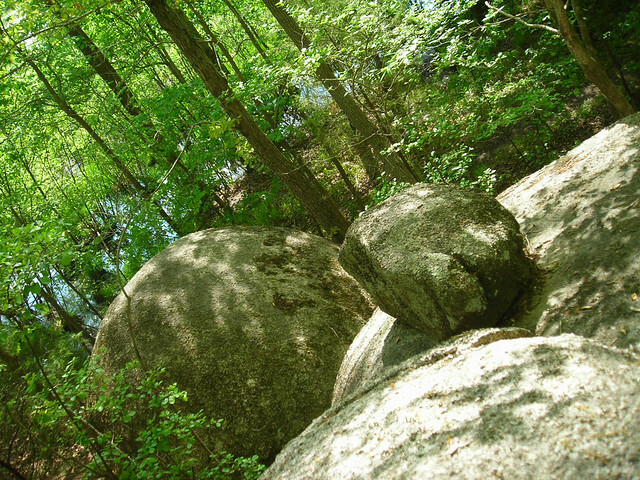 Named for a massive granite standing rock that is actually closer to fourteen acres in size, the Forty Acre Rock Heritage Preserve is set in a 2,267-acre park in South Carolina that is open for hiking. 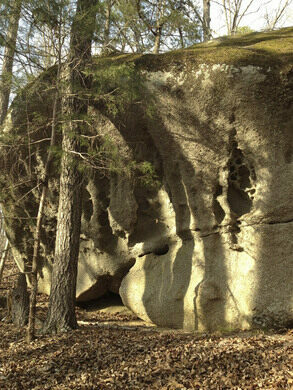 The rock, a celebrated example of a granite outcropping in the Piedmont, is one of several exposures throughout the region. 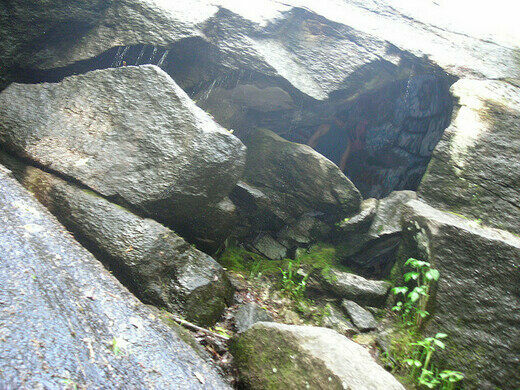 Many of the others, though, are mined for their valuable high-quality granite, the state’s official rock. 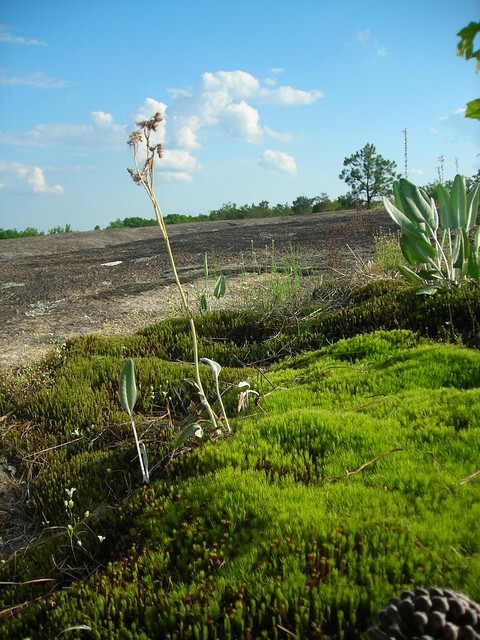 Forty Acre Rock’s granite, as part of the Flat Creek Preserve, is home to several species of rare plants, including Puck’s orpine, diminutive amphianthus, and open ground Whitlow grass. The state does not advertise the area as a tourist attraction because of the fragile ecosystem it supports. There are no places to camp - legally, anyway - and no restrooms, showers, phones or other modern amenities, but the area can be explored during the daytime. If you plan on visiting, pack your own water, food, and supplies as there are no local stores in the area. Update January 2019: There’s a store just up the road no more than three miles. This store also has bathrooms, a grill (hamburgers/hotdogs/sandwiches) hours are 8 a.m. to 8 p.m.
Take I-77 to Exit 65 and go east on SC #9 for 17 miles. Continue straight on the US #521 bypass for 2.5 miles, then turn left onto SC #903. From there, go east on SC #903 for 4.2 miles, turn left and go east on secondary road #123 for 10.4 miles. Turn right and go south on road #27 for 0.4 miles and turn right onto Forty Acre Rock Road. From Kershaw, South Carolina, take US #601 north past SC #903 and turn left onto road #27. Go north 2.0 miles then turn left onto Forty Acre Rock Road. Trace the history of writing at this unusual North Carolina destination. These strange large stones served as a campsite and lookout post for generations of American Indians.